Featured Titles - Welcome to Happy Duck Publishing! For individual orders, click on the cover photo. If you are wanting several copies of a title for your store, classroom, or book club send us a message via the Contact tab for special pricing. Poetry influences our lives every day. It is found in the music we listen to, movies we watch, books we read, jingles we hear on the radio, and even the advertisements we see on television. Fuzzy Dragons and Wild Yetis is a kid friendly introduction to the wonderful world of poetry. Join Miss Grizzly as she takes her new friend Mister Snail on a journey through the woods. They will learn that friends come in all shapes and sizes; each with their own special gifts. But the greatest gift of all is caring for each other. Misfitz Tavern is famous with everyone in Knowhere, Nebraska. To some it’s a forbidden, sinful place where whores and drunkards engage in all manner of debauchery. To others the tavern represents a safe haven to rest without fear of discovery. One thing’s for sure though, it’s a place where magical things happen. Those who are awakened can see through the mystical veil that hides creatures from myth and legend as they walk among mankind. Inside the ancient structure, angels deal cards with demons while centaurs and elves played pool with dwarves. The tavern has been welcoming them all for millennia, with Karma as the only law and judgement reserved for her alone. Current proprietor William Pearson has spent most of his life inside the taverns familiar walls. But lately things have been feeling out of place for him. Whispers from other realms hint that the end of days is approaching. Newspapers from across the multiverse mirror tragedy after tragedy. Confident that the world is ending, William must rally his patrons and staff to face off against Armageddon itself. But what can a whore, a fallen angel, two beings from another dimension, a couple of spoiled brats, a barista, and a descendant of Adam do to stop it? Lucas Fosterman has lived a full life, from growing up in Mid-Missouri to serving in the Marine Corps and eventually becoming a successful businessman, father, and grandfather. But in the end, the story of his life becomes a powerful parable about the foolishness of trying to circumvent God’s plan. After the shocking murder of his ten-year-old granddaughter, Lucas is determined to find a way to bring peace to his broken family. A series of bad decisions made with good intentions leads him on a path to discover the true meaning of forgiveness, but his misguided attempt at atonement might just cost his family everything. The Parables of Lucas Fosterman is a collection of stories following one man’s journey of love, loss, and search for redemption. Francis Tower has only one thing on his mind: he wants to die. But when things are at their bleakest, a breakthrough in his therapy creates a new form of obsession. It seems like life isn't finished with him just yet. A random meeting only a few blocks away from the safety of his apartment puts his reclusive peace in an uproar. Francis is once again forced to interact with other people. Worse, he must rely on their help if his therapy is to be a continued success. 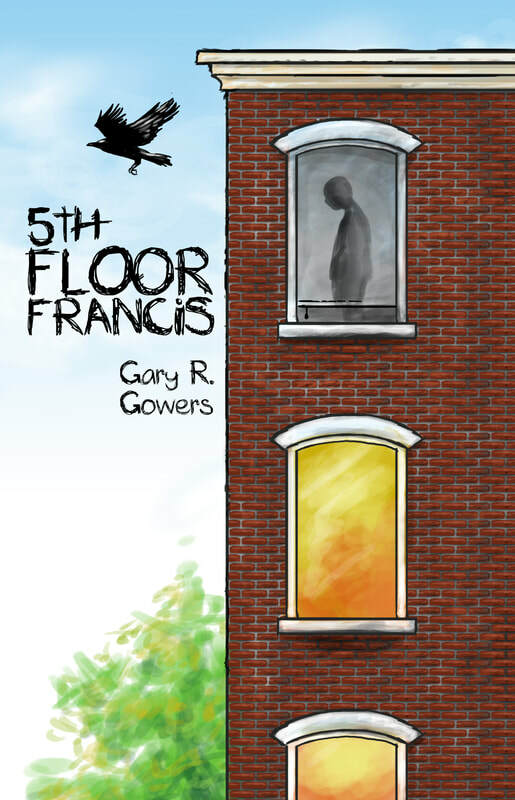 5th Floor Francis is a story about losing your life, regaining your life, and finding balance in an unbalanced world with the help of friends... and enemies. All he wants is a modest house with a picket fence, a few close friends, and all the blood he can drink. Lafayette just dreams of being a normal vampire. Instead, he is forced into a mission to save mankind from the clutches of fallen angels. When the reluctant vampire turns to a childhood friend for help, he learns there are far more lies uttered from friendly lips than enemy tongues. As chaos unfolds, a chance meeting reveals that four ancient pendants are the key to driving back the demonic forces bent on humanity’s extinction. Lafayette must lead a small team of humans and renegade seraphim to find the artifacts and stop the evil that is coming. An evil such as the world has never seen. Chase is an aspiring actor living in Hollywood. Jennifer is an almond-eyed beauty from a wealthy family. When the two are introduced, they quickly realize that there is a lot more electricity between them than can be found on the Sunset Strip. When someone from Jennifer’s past threatens to steal their future away, the two must wrestle with decisions that they make. Decisions that will determine not only the rest of their lives, but ultimately that will test their love for one another. In this narrative by Chase, he tells of the events that have landed him in a lonely hospital room in California. Events that have made him face his greatest fears, while at the same time following his biggest dreams.